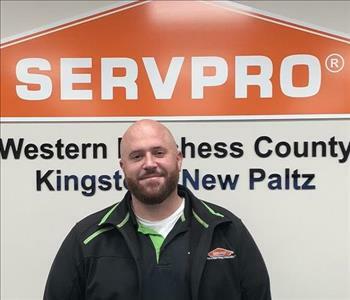 Kelly is the marketing manager for SERVPRO of Western Dutchess County & Kingston/New Paltz. She is the daughter of owners, Gil & Sheryl Morrissey, and has grown up in the business over the last 21 years. She graduated Marist College and has been in the marketing department for over 8 years. Kelly is IICRC certified in Water Removal and Applied Structural Drying. 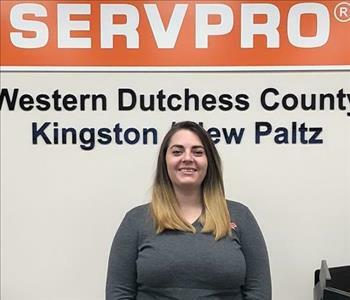 Liz is the Office Manager for SERVPRO of Western Dutchess County.. Liz has been a crucial part of our company for over 12 years. She is very well versed in the insurance industry and is responsible for all National Accounts & Accounts Receivable. 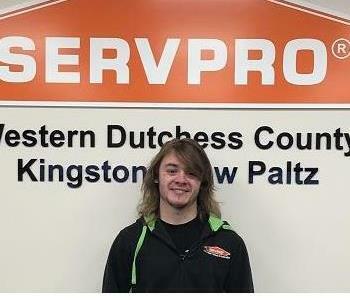 Jesse is a Production Manager for SERVPRO of Western Dutchess County & SERVPRO of Kingston/New Paltz. Jesse has several years of experience and has several IICRC certifications including, but not limited to Water Removal Technician, Applied Structural Drying and Fire & Soot Remediation. 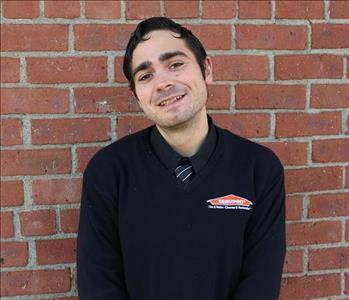 Production Crew Chief: Branden has been part of our SERVPRO family for over 5 years! Branden is certified in IICRC- WTR, IICRC- FST, IICRC- ASD and NYS Mold Licensed. Branden has consistently made our clients feel Like it never even happened. Corey Whitted is our Commercial Sales and Marketing Representative. He has lived in Poughkeepsie for 35 years. You might recognize him as he served as the Vice President/AGM of the Hudson Valley Renegades for 12 years. Most recently he was Director of Operations for the Poughkeepsie Galleria Mall. He currently sits on the Board of Directors for the Mid-Hudson Civic Center, Ice Time Sports Complex and Sugar Loaf Performing Arts Center and will continue to be very active in the community. Nancy is an Office Administrative Assistant for SERVPRO of Western Dutchess County & Kingston/New Paltz. 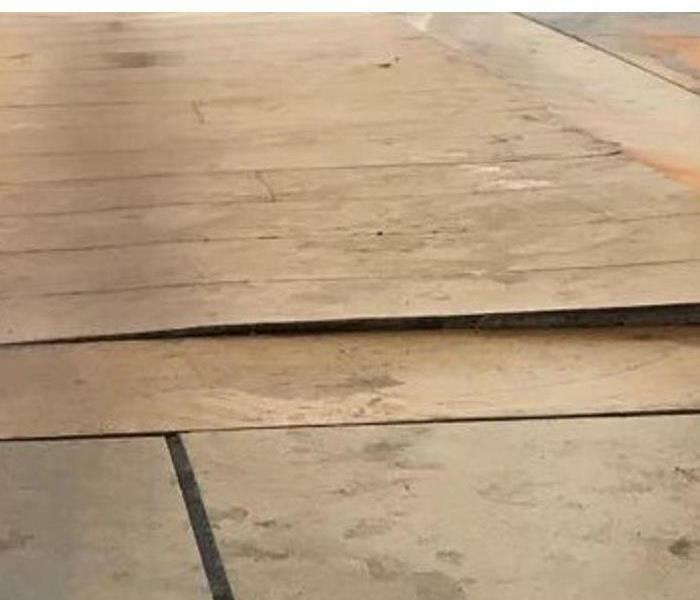 She is responsible for providing excellent customer service to our customers and helping to ensure we make your damage "Like it never even happened". 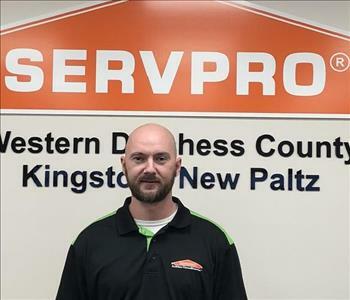 Erik is an Office Administrator for SERVPRO of Western Dutchess County & SERVPRO of Kingston/New Paltz. He is in charge of National Accounts, as well as other third party programs including Alacrity. 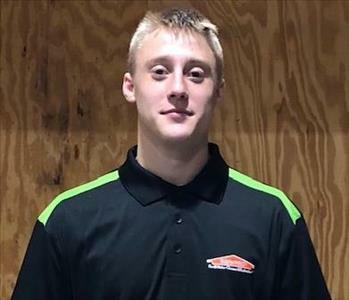 He has been within the SERVPRO franchise system, previously working as a crew member, for over 2 years! Production Crew Chief: As a technician, Freddy is responsible for helping to ensure that your damage feels "Like it never even happened". With the latest drying & restoration techniques used, he helps to make the process as smooth as possible. 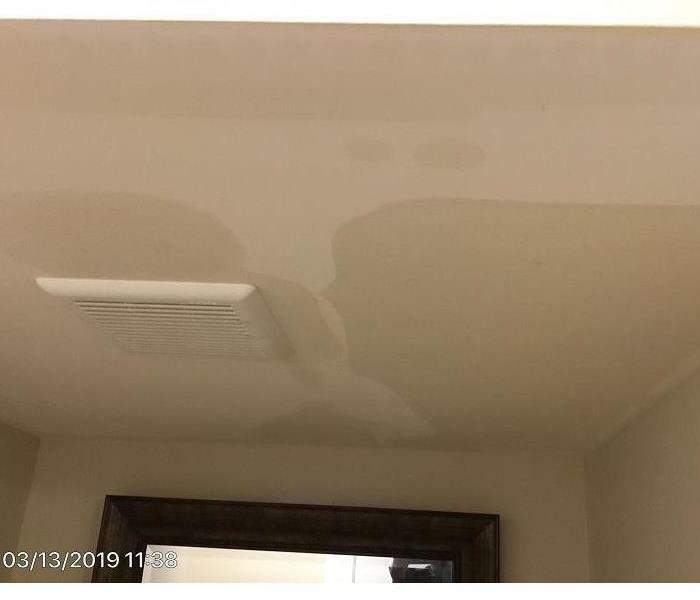 With experience on large losses and residential losses, Freddy has the knowledge to handle a water damage, fire damage and mold remediation. Freddy is trained in IICRC, NYS Mold Licensing & NYS Lead Testing. Production Technician: As a technician, Joe is responsible for helping to ensure that your damage feels "Like it never even happened." With the latest drying & restoration techniques used, he helps to make the process as smooth as possible. With experience on large losses and residential losses, Joe has the knowledge to handle a water damage, fire damage and mold remediation. 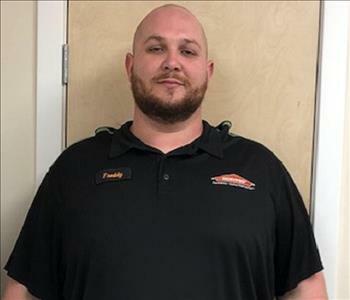 John: Large Loss & Warehouse Manager- John has been with SERVPRO for over 5 years! He has various certifications in the field including NADCA Duct Cleaning, IICRC, NYS Mold Licensing & Large Loss Training. Not only does John possess the restoration and cleaning experience needed to produce a job, but he also has experience as a Lieutenant in the Yonkers Fire Department for over 25 years! Controller- Cristina became affiliated with our team as a CPA with over 20 years experience! She handles all aspects of Accounts Payable, Receivable, Payroll administration, budget implementation and financial strategies. Cristina helps keep us going in the right direction! Marketing Support Coordinator- Amy joined SERVPRO in October of 2018 and comes to the team with an extensive background in sales and marketing from the property management and real estate fields. Amy is charged with all aspects of social media and online presence, Advertising and promotions, positioning in the market place, strategic planning and growth, supporting the sales team, event coordination and creation of print and media materials. Jaimee joined our SERVPRO staff as a Project Coordinator & Administrative Assistant where her responsibilities require precise and accurate documentation include maintaining National Account files, client estimating with our in-house Estimators, compliance documentation, scheduling service calls and providing best in class customer service! 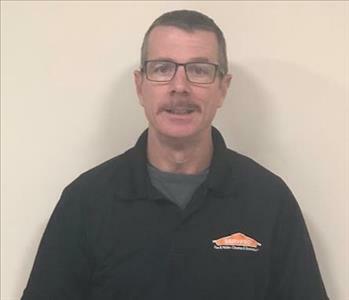 Steve joins our SERVPRO team as a Project Coordinator and Administrative Assistant and already has over 2 years experience in the restoration industry. Steve is well-versed in working with our Estimators and Production Crew to maintain precise compliance documentation, executing National Account files, as well as job file maintenance, client service calls and adhering to the best practices of customer service! As a Production Technician, Luigi helps to make the process as smooth as possible in all of our procedures and is especially thorough in regards to dryer vent and duct cleanings and reconstruction after remediation. Luigi has experience in commercial and residential fields and always has a smile on his face! Gil Ortiz is a Production Manager with our team and has over 12 years experience in the damage restoration field. Gil manages relationships with clients and businesses, performs job scoping, project management, production staff management as well as safety and risk development. Gil has an OSHA 10 certification, is licensed by NYS as a Supervisor of Mold Abatement and is certified in Subrogation for Restoration Contractors. His priority is always to help make any damage Like it never even happened! 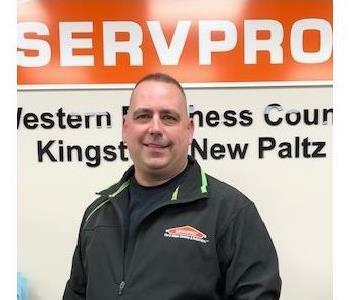 Commercial Sales and Marketing Rep- Dave is a lifelong resident of Dutchess County and joins our SERVPRO team with a long-time background in the residential mortgage industry. Dave has been a mobile DJ for over 30 years and is heavily involved with the Renegades Baseball Travel Program as well as the Hyde Park Little League program.